1. Egg keep you feeling full much longer than cereal or toast. The protein and fat in eggs helps sustain your energy levels, keeping you satisfied for longer and reducing the need for a mid morning snack. 2. Eggs assist weight loss. This is a follow on benefit from keeping you satiated. Studies have shown that people who eat eggs for breakfast are more likely to lose weight than those who ate bagels. 3. Eggs are a great source of protein. Whole eggs are one of the most complete sources of protein, meaning eggs contain all the essential amino acids which we must get from our diets. 4. Eggs tend to be relatively inexpensive. Compared to other high protein foods such as red meat, even free range eggs are more budget friendly. 5. Eggs aren’t going to make your cholesterol worse. While it’s true that eggs do contain a significant amount of cholesterol, the old formula of the cholesterol you eat impacting on your blood cholesterol levels, has been disproven. So there’s no need to worry about eating eggs increasing your risk for heart disease. 6. Eggs help with brain development and memory. 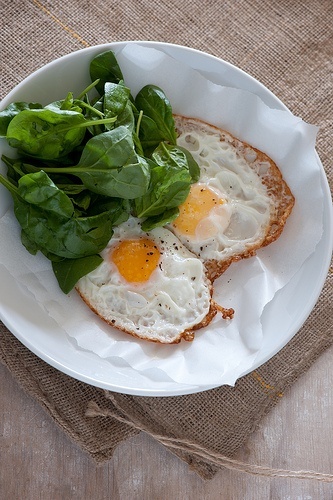 Choline, an essential nutrient found in eggs, stimulates brain development and function. It has also been linked with increasing memory retention and recall as well as improving alertness. 7. Eggs protect your eyesight. Two antioxidants, leutin and zeaxanthin, are present in eggs and have been linked to protecting eyes from damage related to UV exposure. They have also been associated with reducing the likelihood of developing cataracts in old age.